SPECTREOUTREACH.com: FLYFM: PLAYA GOT GAME? 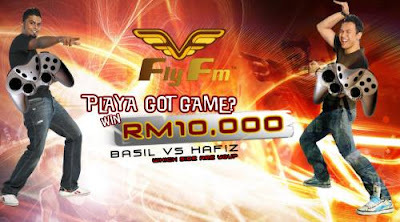 Basil and Hafiz from FLY FM is doing da Playa Got Game?, a 24 hours game battle . The 24 hours madness will take place at Centre Atrium, e@Curve (formerly Cineleisure Mutiara Damansara), PJ starting from 12pm of Saturday, 27th June until 12pm of Sunday, 28th June. PS:Spec is going there coz I got invited as a participant. ROFL!